Probably the most famous national park in the whole of the United States is located less than 200 miles away from San Francisco Bay area. We talking, of course, about Yosemite National Park, situated in Sierra Nevada Mountains in Northern California. The mere fact that it’s so close to San Francisco means that there’s no real reason not to pay it a visit. The park is famous for its thousand-year-old sequoia trees, breathtaking granite cliffs of Half Dome and El Capitan, a scenic viewpoint of the Tunnel View, among many, many others. Apart from the natural wonders of Yosemite National Park, there are some places in the area for those of you who can’t do without the perks of the modern civilization. Yosemite Village, for example, is the place where you can visit many restaurants and shops with free Wi-Fi. If you wanna learn more about the culture of pre-Colombian civilizations living in the area, visiting the Yosemite Museum needs to be on your itinerary. The nearby Ansel Adams Gallery is also worth visiting, same as many other places in and around the village. Of course, the things we’ve mentioned are just some of the countless spots in Yosemite National Park that deserve your attention. But, before you start exploring the park, first you need to get there. If you’re traveling from San Francisco, you’ll be glad to hear that there are many awesome spots you can pay a visit along the way. What this means is that a road trip seems like a very good idea. You can get from San Francisco to Yosemite National Park in about 3h 30m if you take the quickest route, which is via Interstate 580 and the State Route 120. In total, you should cover a distance of slightly less than 170 miles. It’s not a long road, but you may wish to consider taking a few stops along the way. Not just to take some break from driving, but also in order to check out some cool spots nearby. For example, Modesto, the city depicted in the iconic movie American Graffiti is approximately halfway from San Francisco to the park. This is also the place where the largest privately-wonder winery in the world is located. Taking the Interstate 580 is definitely the fastest way to get to the park, but it’s not the only one. There are a few more routes you can take to get to Yosemite National Park from San Francisco. Some of them seem more interesting than the quickest route. For example, you can take California State Route 24 instead of Interstate 580, which will take you north through Walnut Creek, where you should take the I-680 N exit toward Concord. Continue on CA-242 N and make sure to merge to CA-4 E. You should stay on this road before taking exit 30 for CA-160, which will then take you across the Antioch Bridge and toward Rio Vista. Once you reach Rio Vista, rather than turning left towards the city, you need to turn right onto the CA-12. Your next destination should be Stockton, which is basically situated halfway between San Francisco and Yosemite. Perhaps this city is a good destination to take a break, because you have about more hours left to drive. 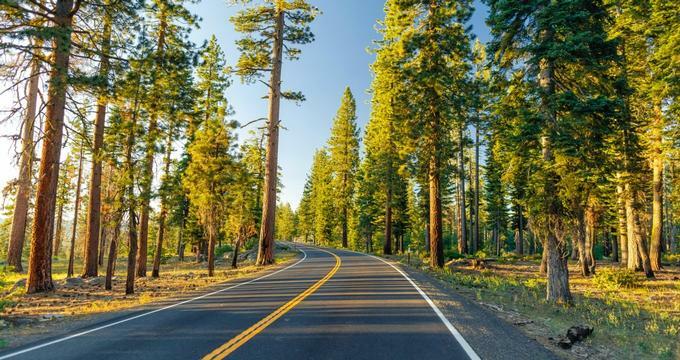 When you’re ready to assume your trip, it’s time to drive to Manteca, where you should get onto the State Route 120 and drive straight to the national park. In total, the whole trip should be no longer than four hours. Money wise, taking a road trip from San Francisco to Yosemite National Park means spending between 20 and 30 dollars on fuel. This makes it the cheapest way to get from one place to the other. Of course, this is only true if you own your own car. If that’s not the case, you can always rent one. There are literally dozens of companies offering their cars for rent, many of which list their offers on sites like Kayak.com. If you go to that website, you will see that a usual rate is about 25 bucks a day, not counting fuel and other expenses. Not only is public transport cheaper than renting a car, but is much more eco-friendly. If you’re living in San Francisco, the chance is that you’re eco-conscious, as this is the place with the highest number of environmentalists in the whole of United States. So, if you’re an eco-minded traveler who has no intention of polluting the Great American Outdoors, you will have to spend a little bit of extra time in order to reach your destination. Still, adding an extra effort seems to pay off, because in return you get to have an exciting adventure. The first thing you need to do is to go to your closest Bay Area Rapid Transit (BART) station. From there, you need to the Richmond station, where you should go to the Amtrak side and get yourself a ticket for the San Joaquin, which will take you to the place called Merced Station. You should be there in about 2h 45m from the time the train leaves the station. Merced Station is where you can find buses operated by the Yosemite Area Regional Transportation System, which will take you directly to your final destination. You should arrive at the Yosemite Valley Visitor Center in about two hours. The whole adventure should not cost you too much. In fact, a one-way ticket from Merced to Yosemite Park costs only 13 dollars. The cost of riding the Amtrak train from Richmond to Merced is about 20 bucks. There are lots of companies that offer organized bus trips from SF to Yosemite, some of which include food and accommodation. The cost for a one-day round trip is usually about 100 bucks, although it all depends on which company you’re using. Some that seem worthy of your attention include Starline Tours and Gray Line.